It is a higher priced granite due to it's availability and also the amount of work that goes into getting the slabs ready to sell at the quarry. "It is a unique and difficult stone to produce. Lava, at extremely high temperatures, traveled through tubes in the earth millions of years ago, and forced the green pigment into the surrounding bedrock. The lava settled at the surface of the earth and slowly cooled, which is quarried as Verde Tunas. Small to medium voids were created and filled with sand during the development of Seafoam Green. These softer areas are chiseled out and filled with Seafoam granite chips and an epoxy during early processing stages of the slab. 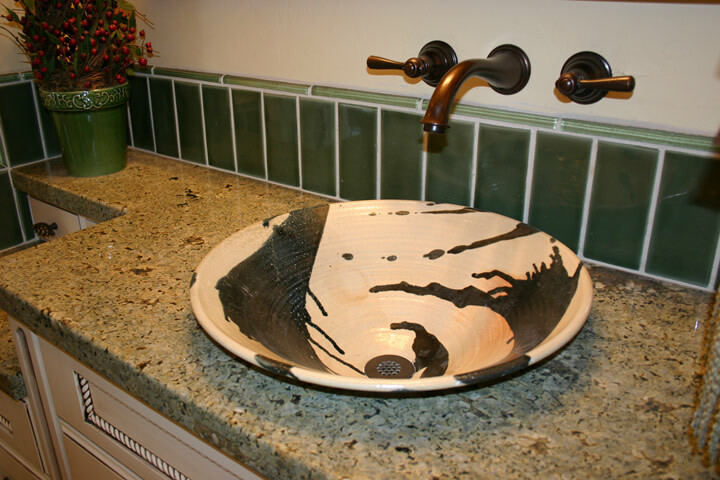 Because this epoxy must be hand- ground before the final polishing, these areas may be higher or lower than the actual surface of the stone. Finally, a mesh backing is adhered to the back of the stone to ensure safety while handling and fabricating the slab." Below is my favorite photo of the day. It comes from J.B. Turner & Sons. Check out that chandelier! 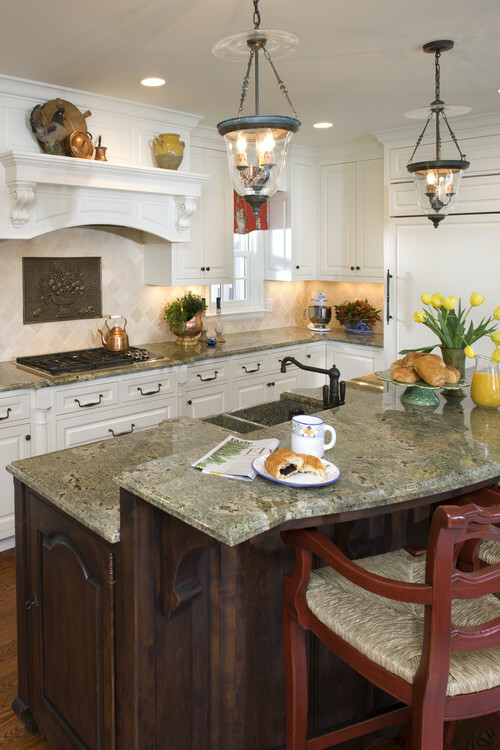 I love how they combined the white marble island with Seafoam Green on the perimeter. So beautiful! 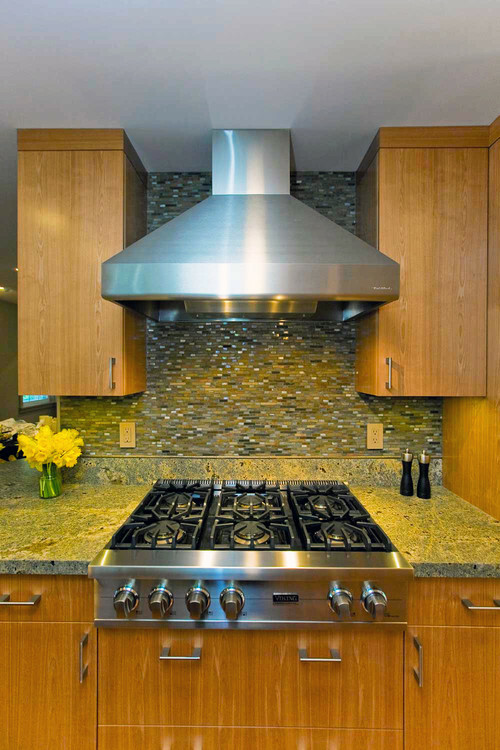 Modern Kitchen by San Francisco General Contractor Bill Fry Construction - Wm. H. Fry Const. Co. So remember, epoxy in these slabs is normal. It's what makes Seafoam Green what it is, otherwise it would just be Verde Tunas. The epoxy adds to it's beauty and the uniqueness of the stone. 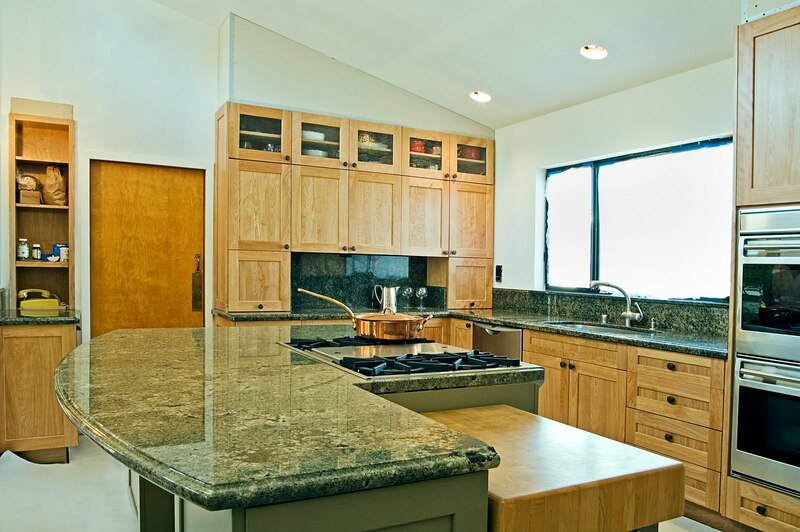 Photo: Natural Stone Granite & Design. Seafoam Green is available in 2 cm and 3 cm slabs. 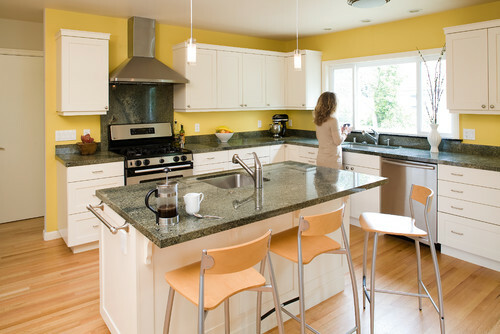 I've always really liked Seafoam Green granite. It's always fun to read more about each slab. I really like your slab sunday feature. All these pictures were really pretty today too. That Seafoam Green kitchen with the white marble island and the chandelier is so dreamy!!!! I want to copy it!